Winter’s not quite over so don’t put your snow gear away just yet. In fact, some weather experts are predicting big spring snow storms all over the country, so it’s possible the season’s best powder days are still ahead. 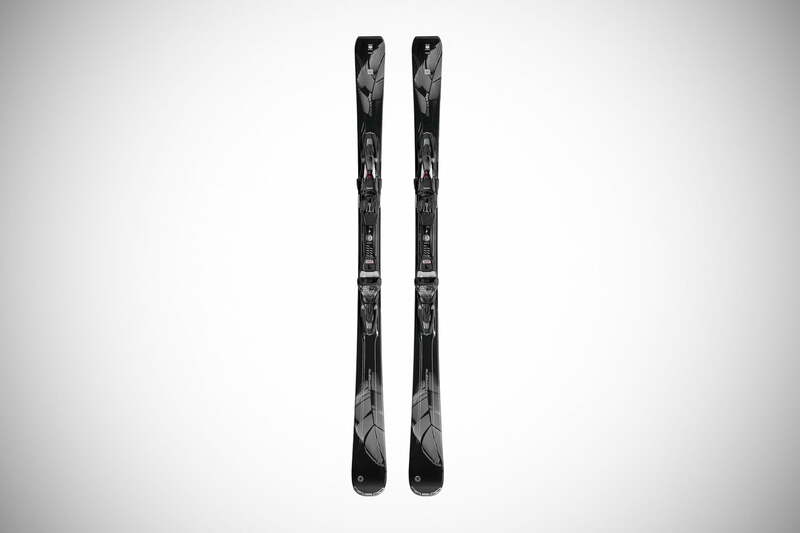 If you’re hoping to take advantage of a few amazing spring sales on the horizon, here’s a list of the best skis of the season to help you make the right decision. Then grab your googles and helmet, and hit the slopes! Whether you’re riding freshly-groomed runs or plowing through fields of powder, Nordica’s Santa Ana 110 is the perfect weapon for the job. 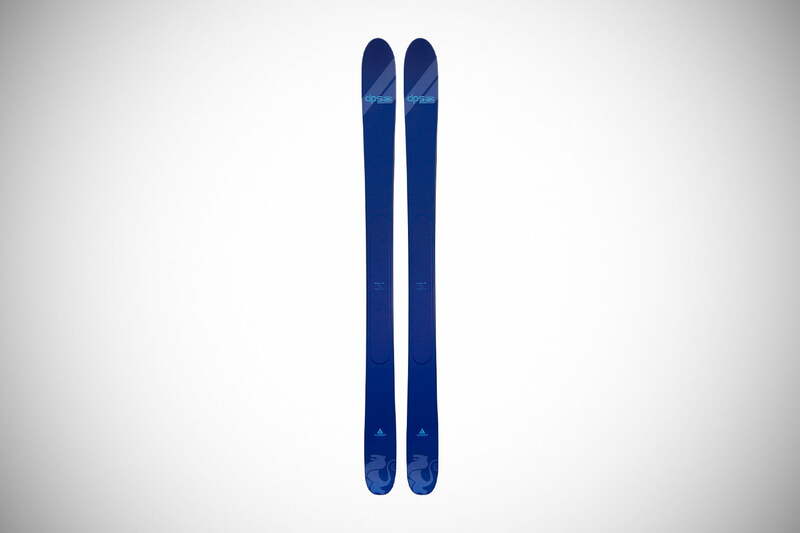 This supremely balanced all-mountain model is one of the most versatile skis in Nordica’s entire lineup. Constructed with a balsa wood core and two sheets of metal, this stable ski features dampening qualities which allow you to soar over chop and sail through ice without feeling like you’re sliding over a washboard. Its 110-millimeter waist offers stability on softer snow while its vertical sidewalls ensure solid torsional stiffness. 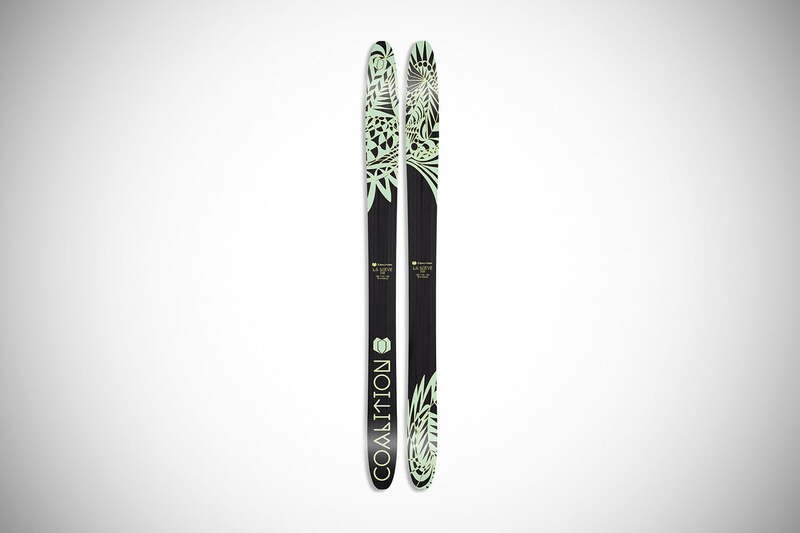 Traditional camber underfoot makes the ski responsive and quick to turn on hardpack yet its blunt, early rise tip delivers float in powder, making it as much fun on big dump days as it is on the groomers. Although this pick from Elan is tough enough to almost be a freerider, it features everything you want in your all-mountain quiver, too. It’s fast on groomers, stable at high speeds, and possesses enough lift in the tip to glide over powder on big stormy days. Built with TNT Technology, the Ripstick features Elan’s “tubelight” wood core, composed of nose-to-tail carbon tubes and vapor inserts on each end to dampen chatter. It has a left and right construction featuring exaggerated camber on its inside edge, allowing you to grip hardpack while its rocker on the outside makes for easy turns. The result is a focused, lightweight ski that does what you want, when you want it, without any fuss. It’s agile and playful on-piste and tons of fun to surf in deep powder. 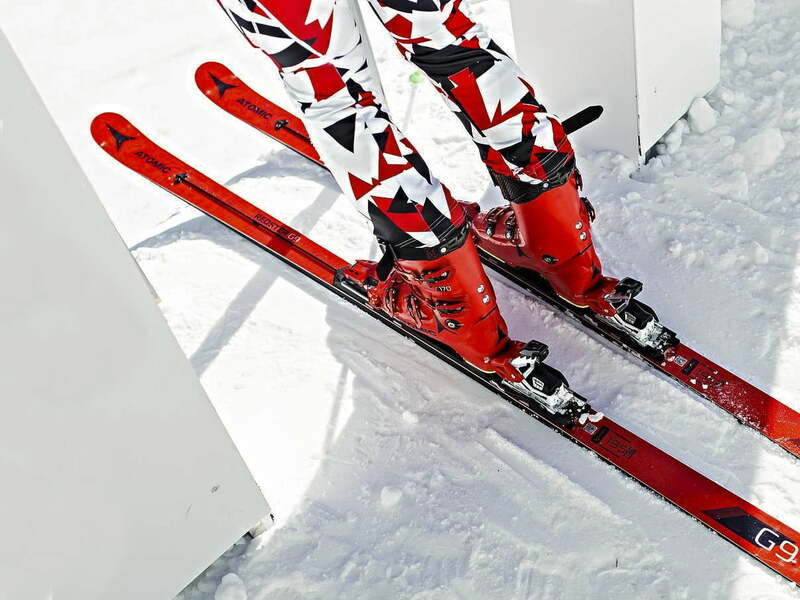 If you’re a fast-as-hell ripper whose primary goal is to hit top speeds every single lap, you’ll love the Redster G9, Atomic’s brand new racing ski. This lightning-fast carving ski is built with Servotec, a hot-off-the-press technology the company dubs as “power steering.” The G9’s quick turning capability is achieved via a pre-stressed rod and elastomer on top of the ski that allows you to initiate light, fast turns while providing extra stability at high speeds. Perfect for performance racers and everyday skiers, this is essentially a World Cup ski for the layperson. For fast groomer days, you can’t do better than Blizzard’a Alight 8.0 TI, possibly the most technically advanced carving ski on the market. Although it’s part of the frontside all-mountain collection, the ski was designed with groomers in mind and that’s where you’ll see it truly shine. Built to offer easy, seamless transitions, it feels so effortless to control that by the time you’ve thought about making a turn you’ve already done it. With an 80-millimeter waist, the Alight features a lightweight paulownia-bamboo core sandwiched between full sheets of metal, providing control, stability, and stellar responsiveness. It’s easy to maneuver whether you’re on freshly groomed corduroy, slushy spring snow, or hard, crusty ice — after all, edging is where this ski performs best. With that said, it won’t completely plummet in powder, so if you take it through a few laps in the trees, it’ll still hold up great. K2’s floaty asymmetrical Catamaran will have you literally surfing through snow lap after lap with its ultra-wide waist and rocker in the tip and tail. The ski’s light wood core is layered with carbon bands in the middle paired with a solid sidewall, while the tips and tail are capped. 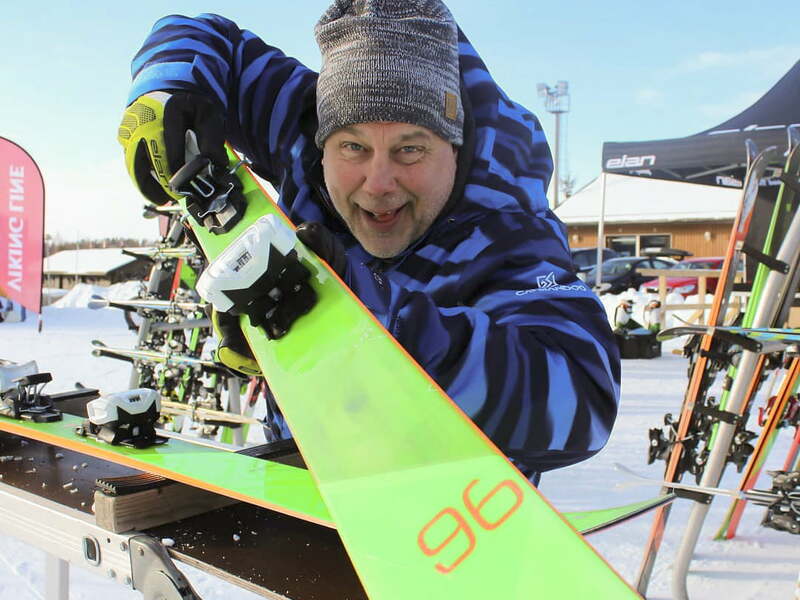 The result is a light, nimble ski that begs to have air underneath it, playfully popping off every little bump and groove without sacrificing control. Like K2’s Marksman before it, the Catamaran features an asymmetrical shape. Its tapered outer edges keep you afloat amid face shots while the traditional inner edge gives you control back on the groomers. Bottom line: This ski is a powder slayer that still maneuvers hardpack when it needs to. Calling all lovers of waist deep snow: This magical hovercraft is made for massive snow days. This wide-waisted ski floats over powder and slashes through fresh sections, delivering dreamy face shots with every turn. As its name suggests, the Pintail has a narrow back end that helps execute tight tree turns while its wide front keeps your tip from nosediving. Incredibly light and agile, it’s sturdy enough to charge hard on groomers. 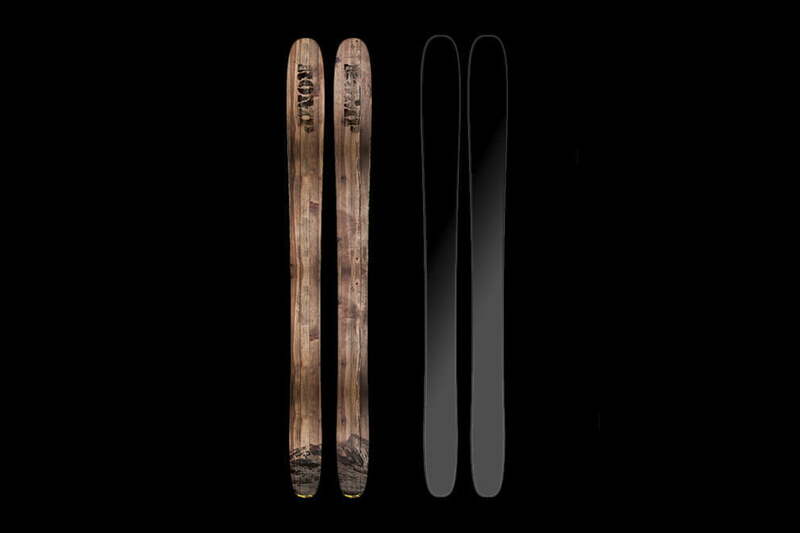 Built by Romp — a company that specializes in custom skis — you have the extra advantage of being able to customize your sticks if you wish, choosing materials, rocker profile, flex, and even your graphic, and Romp offers material options which include custom-flex Countervail, ultra-light carbon fiber, and triaxial fiberglass. An excellent powder ski capable of being custom-built, the Pintail won’t lose its cool when you hit packed snow. Built for big mountain lines, pillowy staircases, sidecountry treks, and fields of glorious powder, Salomon’s QST Stella 106 is a freerider’s dream. With a twin rockered, ultra lightweight koroyd tip and tail, it has a surfy nose that skyrockets out of deep snow to keep you afloat while the honeycomb material up front reduces swing weight. The cambered all-wood core in the mid-section — inserted with CFX Superfiber — offers sturdiness for your landings and steady grip for packed runouts. 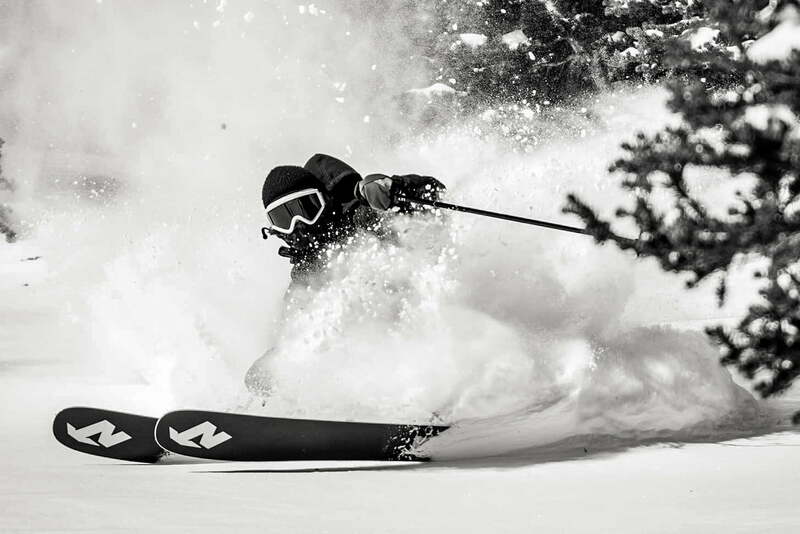 On piste, the five-point sidecut equips you with smooth transitions and quick, responsive turns, delivering confidence your ski will perform well under pressure. It’s stable at high speeds, damp over choppy terrain, and constructed with enough shock absorption to withstand heavy stomping. If you’re an aggressive freeride skier who loves big lines, the Stella 106 should be at the top of your wish list. 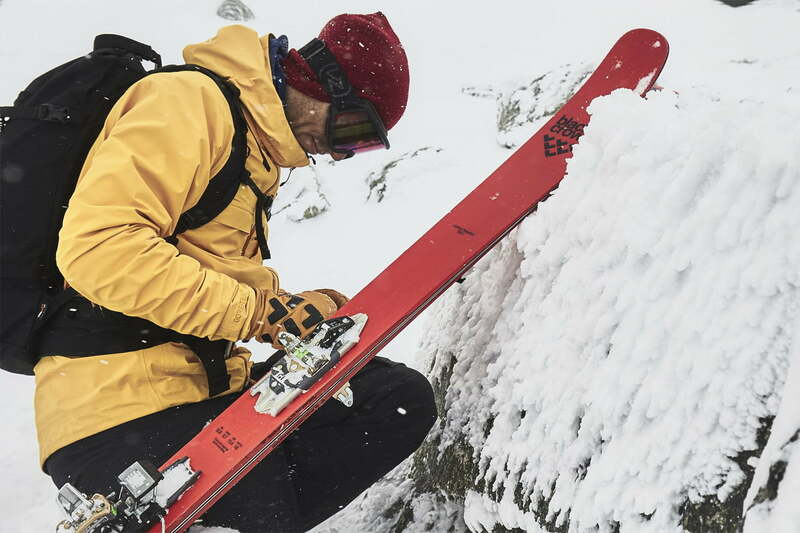 Poppy and playful yet tough and dependable, DPS’s Alchemist Wailer 106 is a shoo-in for the best men’s freeride ski on the market. The magic of the Alchemist is its baffling ability to be so light yet charge so hard. Already a fan favorite, its latest iteration received a full redesign that included the addition of vibration-tuned aerospace grade carbon fiber, granting it high-quality stability without adding a ton of weight. The aspen-carbon blend in the core leaves it impressively smooth and damp, able to soak up chop or blast across icy sections without ever getting washy. In powder, it soars high with its thick waist, perfectly suited for deep trees, chutes, and powder pockets. Whether you’re heading for huge Alaskan heli-ski lines or simply exploring your hometown resort, The Wailer 106 offers premium performance and maximum fun. If you’re a powder-chasing backcountry explorer, Black Crows’ Camox Freebird is your best traveling mate. 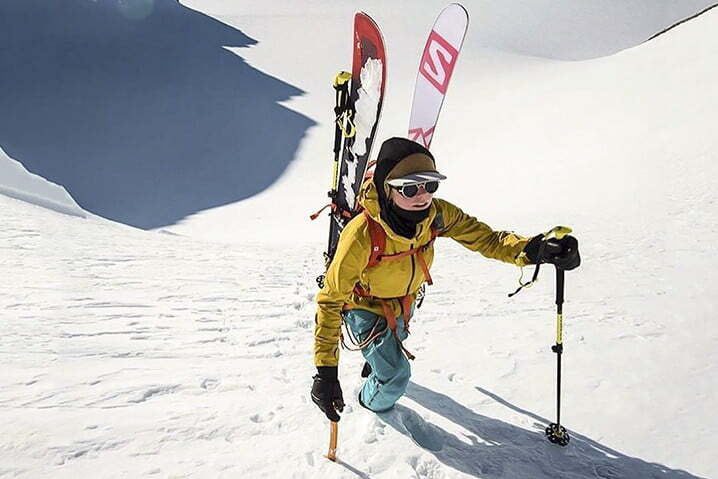 Designed with mind-blowing versatility, the ski manages to nail down the elusive blend of stability and lightweight, offering strength and confidence for the descent with minimal weight for the up. Although the Camox isn’t the lightest touring ski on the market, the tradeoff in weight is easily worth the few extra grams to achieve solid maneuverability and control. This is in part due to the classic camber underfoot and medium flex which delivers both stability as well as playfulness. The medium width and small turning radius round out its impressive features, allowing the ski to handle beautifully in deep snow while still initiating tight turns with precision and speed. Rooted in Lake Tahoe, Coalition Snow is a group of all-women shapers and ski makers hell-bent on removing the “pink it and shrink it” attitude from the ski industry’s vocabulary. 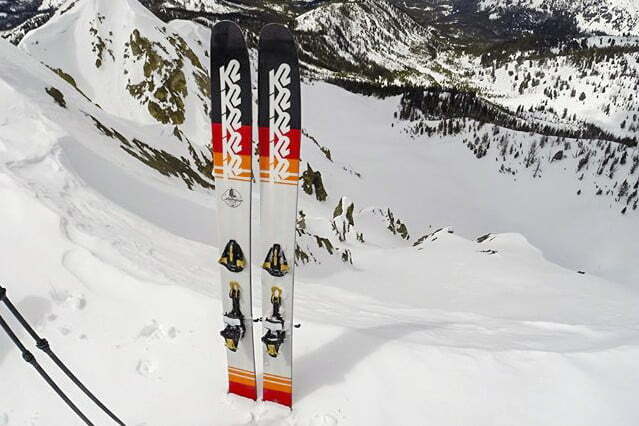 La Nieve is their premium backcountry ski meant to offer lightness for the skin up combined with technical performance to let you send it on the way down. It built the La Nieve with a blend of a basswood, ash, and maple core that makes it feather-light yet sturdy enough to rip big lines. Featuring ABS sidewalls and sandwich construction, the ski is torsionally stiff with energetic, poppy flex. The finished product provides you a light touring ski and a strong, sturdy ripstick once you arrive at your destination.